I’m talking to Devin Robinson of Anchor & Veil Photography from Charlotte, North Carolina, he and his wife have an awesome wedding photography business. I found him through another interview on the ... See More Photography Together podcast, I started listening to Devin’s Anchored Business podcast, and following his just really amazing images on Instagram, I love what he does. 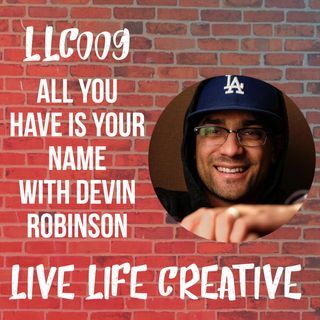 Devin really delivers the goods on this interview, we talk about how you can rise above the competition by being unique, the most important principle you NEED to have in your business, and this super crazy bug problem shows up right in the middle of the interview, it’s insane to listen to. We talked for so long that I split our interview into two parts, so part 1 is right now and part 2 will release in the next interview episode, episode 11. I also wanted to share some good news with you, we just hit 600 total downloads from all the episodes! Thanks for listening along and sharing it with your friends.